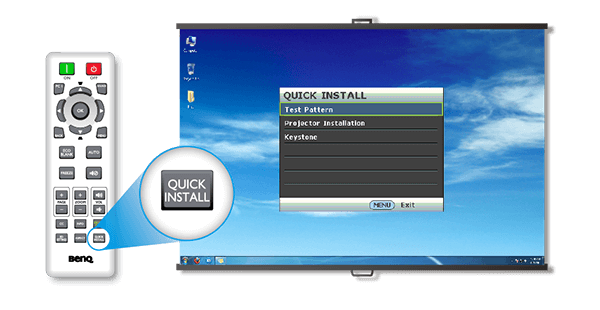 The BenQ MH535 features a bright 3500 ansi lumens, Full HD 1080p resolution (1920 x 1080 pixels, 16:9 aspect ratio), extensive connectivity inputs and a rock solid 2 year manufacturer warranty for total peace of mind presenting. 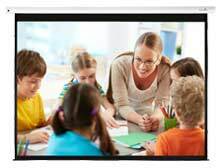 The BenQ MH535 is the replacement model for the hugely popular MH534. 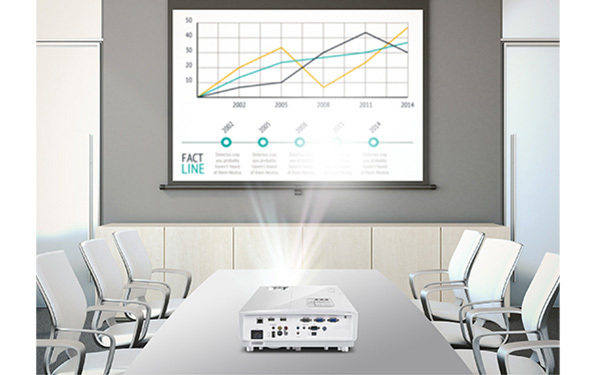 Tailor-made for simple, reliable performance in meeting rooms day in and day out, BenQ MH535 combines bright big-picture quality, intuitive hassle-free operation, and convenient digital connectivity with environmentally conscious power savings and budget-friendly low total cost of ownership. 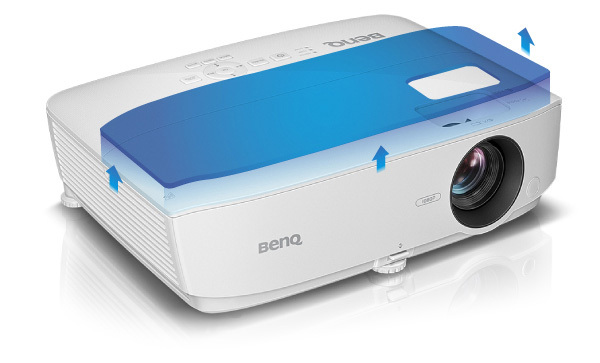 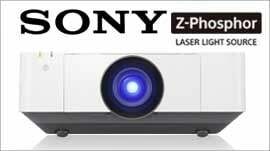 Price Vs Spec, the BenQ MH535 is our projector of choice. 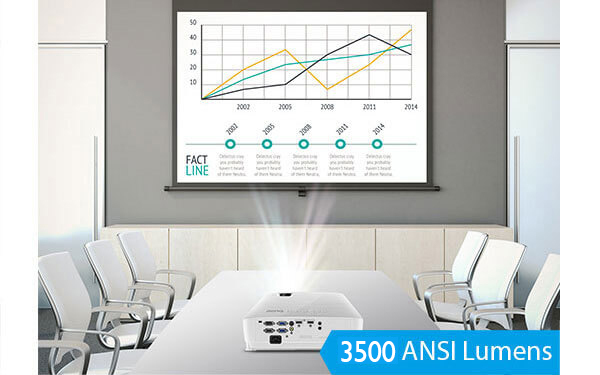 3,500 lumens of high brightness enable comfortable lights-on presentations to promote discussion, collaboration, and note-taking in small well-lit meeting rooms accommodating up to 10 participants. 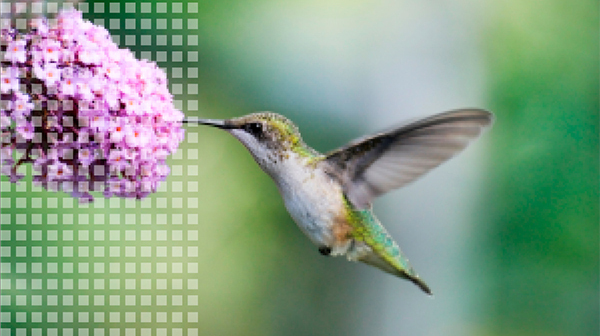 The high luminance boosts picture quality with vibrant colour for pictures and videos as well as crisp text and fine details. 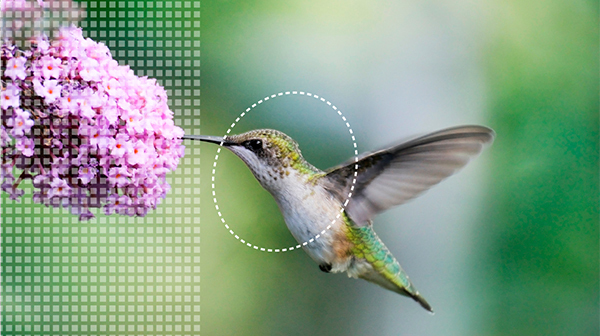 A. SmartEco Mode: SmartEco Mode analyses input content to determine the brightness required for optimal colour and contrast performance, conserving up to 70% lamp power while delivering the finest image quality without compromise.